Foundations Pre-school is located in the rural area of Kanyanga in Mashonaland West Province Zimbabwe. The land on which it is situated is community owned. The young students are from extremely poor families. 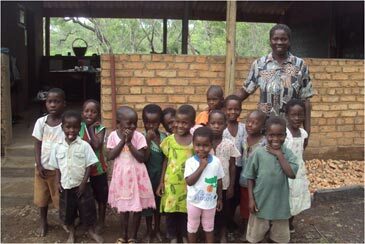 It is operated by the Foundations for Farming NGO based in Zimbabwe, which aims to improve rural community life. The project was supervised by a local builder while community volunteers are making the bricks and provide free labour to prepare the land, dig the foundations and paint. Training for the teachers was provided through Eagle's Nest Christian School, Polokwane, South Africa, who continue their support for the school.